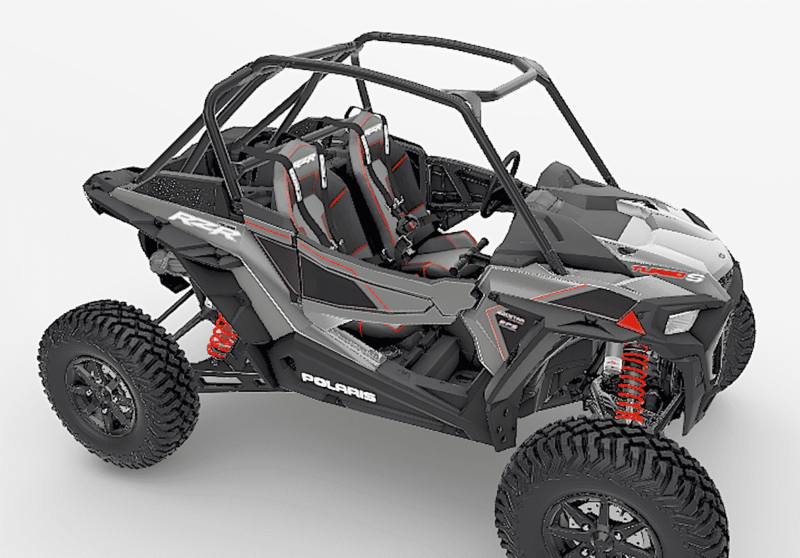 What amounts to around ten percent off or nearly $3000, the RZR XP Turbo S and RZR XP 4 Turbo S will be available as a Velocity edition priced at $25,399 and $28,399 respectively. This is a reduction in price but not performance. 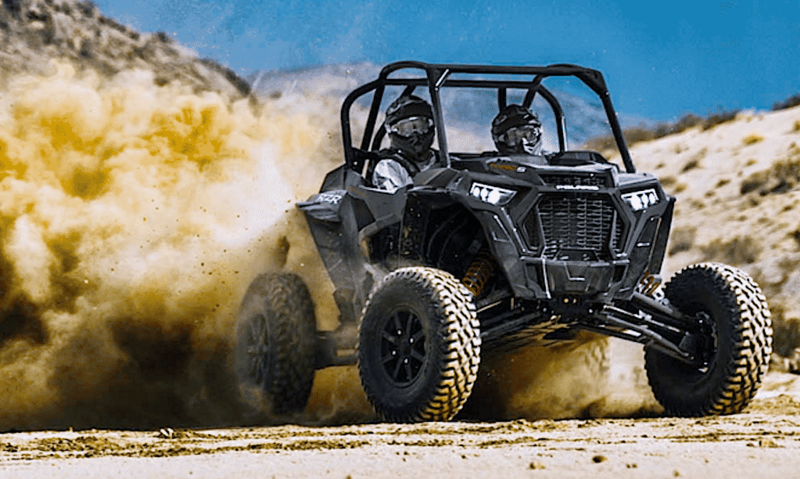 The cars will still have the huge 72” stance, wheel travel numbers of over 20 inches, 168 horsepower, 32-inch tires, stronger suspension and drivetrain. What is different is the electronically adjustable Fox Shox will be replaced with huge 3.0” Walker Evans Velocity shocks on all four corners. The shocks are tunable with hi/low speed compression and preload adjustments. In the cockpit, the Ride Command infotainment center has been replaced by a standard dash. Being able to customizes your ride with your favorite GPS, comms and suspension tuning is a popular notion and the Turbo S Velocity has that.